We are taking this liberty of introducing ourselves as a manufacturer and exporter of Food dyes, drug& cosmetics color ( d &c) and Acid dyes, Reactive Dyes, Direct dyes, salt free dyes, since more than 10 years. Year’s 2009 earlier we have supplied to merchant exporter through export our products also our indigenous market is well establish. Sine last 10 year’s Year’s 2009, the time came to move one step ahead and the company decided to direct export. The RED SUN group has at present entirely automation two plants situated at Vatva GIDC, Ahmedabad in the state of Gujarat, India. RED SUN DYE CHEM RED SUN COLOR CHEM Total Group Production Capacity: 1500mt pa. Synthetic food colors Reactive dyes, Acid dyes, Direct dyes Dyes intermediates Our main customers include manufactures ranging from, FOOD COLOUR: Application: bakery, beverage, confectionery cosmetics & toiletries, dairy & ice cream, meat & savouries pharmaceutical, seafood,, pet food, , Cattle Feed, Toiletry, Inkjet Crayons, Sketch Colors, Toys and many more. It also applies where harmless Colors are required. 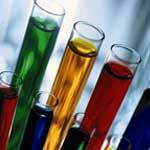 Reactive dyes: Acid Dyes Direct Dyes applications in Textile Industries, Leather Industries, Dyes Intermediates: BDSA, DASA, PAAB4SA. MPDSA. Thanking you, assuring our all time best services, and hoping to hear from you soon favorably.